Sifnos to Kythnos is a domestic route in the Cyclades and is operated by Zante Ferries. Book a Sifnos to Kythnos ferry today with AFerry. Just use the form above and choose the route that you want. If nothing appears automatically, start typing Sifnos. You can also type the country or even the name of the ferry company you are interested in. When you have the route that you want, choose single or return and all the other options you want. If there is more than one ferry company operating on the Sifnos Kythnos route we will show you all the ferry companies, to make sure you get our best price. We'll also show you any routes similar to Sifnos to Kythnos so you have the complete picture when making your booking. And of course you'll also see a range of times just in case it's a bit cheaper earlier or later than your preferred booking time. Once you've chosen your perfect sailing and have made your booking we'll email you your booking confirmation for your Sifnos to Kythnos ferry. The majority of tickets have instant confirmation. Below you can see the ferry company or companies that sail on the Sifnos to Kythnos route and the journey times. You might also see some recent prices our customers have found. The best way to find a cheap Sifnos to Kythnos ferry though is to use the form above today to see all of our possible choices. 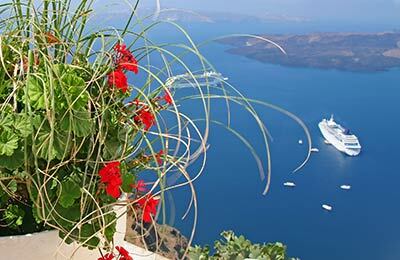 With AFerry we always give you our best prices for ferries from Sifnos to Kythnos. No matter which page you book from we always include all our special offers. And there is no need to look for a discount code. If we have an offer available, your ferry price will include the reduction or offer. There's no need to look at other websites. If you're not sure if the Sifnos to Kythnos route is right for you or you can't decide between ferry companies, if there is more than one, you might also find it useful to read any reviews we have available. We ask all our customers to send us reviews for Sifnos to Kythnos ferries. Remember though, that the earlier you book, the cheaper prices normally are. So don't spend too long deciding! Sifnos to Kythnos is a popular route, so we advise you to book as soon as possible. There is plenty to see and do on Sifnos; the island boasts 277 beautiful churches and chapels and 55 ancient towers across the island dating from the 6th to the 3rd century B.C. There are also museums in Sifnos; the most notable are the Archaeological Museum in Kastro and the Folklore and Art museum in Apollonia. Kythnos ferry port lies on the Greek island in the Western part of Cyclades. Kythnos has an area of 100 square kilometres with two significant villages Messaria and Driopis. Kythnos has a varied landscape with rocky terrain and miles of sandy beaches. The picturesque villages in Kythnos are very different to each other in terms of architecture and scenic beauty and are well worth exploring. There are about 70 beaches in Kythnos but most of them are inaccessible due to the terrain. 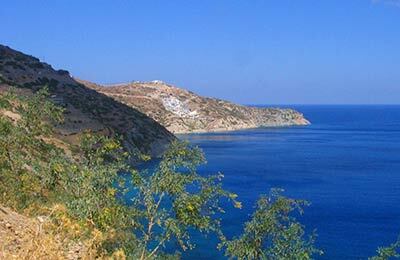 Kolona with the sea lapping on either sides, Episkopi and Apokroussi are the most popular beaches on Kythnos. There are many local taverns and cafes around the harbour and the villages that provide traditional Greek food. Kythnos has also excellent accommodation facilities with fantastic views from anywhere. You can also do some shopping in little shops on the island selling hand painted leather, wooden and ceramic goods. Kythnos offers a Greek island holiday experience with a difference. The locals are very friendly and the atmosphere is very laid back perfectly suited for a relaxed holiday. Loutra resort in Kythnos is famous for its warm sulphurous spa-waters renowned for its healing powers. Some of the other interesting sites worth a visit in Kythnos are the Church of Trinity in the island's capital Chora and the Driopis village with winding streets and calm pleasant atmosphere.